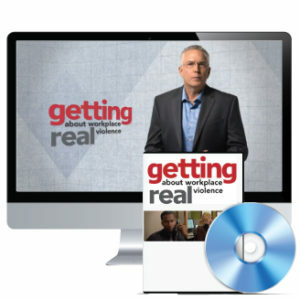 Prositions Partners with Regulus Media to Release the Getting Real About Workplace Violence Training Program | Prositions, Inc. Prositions Partners with Regulus Media to Release the Getting Real About Workplace Violence Training Program | Prositions, Inc.
Prositions, Inc. announces the release of Getting Real About Workplace Violence. This new training program includes simple, yet effective steps to survive acts of extreme violence in the workplace, and more importantly identifies early warning signs that could prevent violence from happening in the first place. The training content in Getting Real About Workplace Violence aligns with published guidance by the American National Standards Institute, which is the standard advised by the Society for Human Resource Management (SHRM) for best practices addressing workplace violence prevention and response. It was produced by Mark Forman and security industry veteran, Jim Sporleder.